At approximately 1:30 pm Friday, December 14, 2007 Eastern time the Sheriff's Department in Berrien County Michigan arrested Rev. 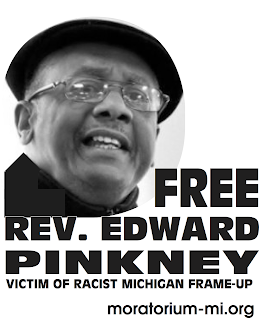 Edward Pinkney and took him to the Berrien County Jail in St. Joseph (the adjoining township to Benton Harbor, Michigan). The sheriff also seized/confiscated Rev. Pinkney's computer when he was arrested. Pinkney's wife Dorothy tells BlackCommentator.com the sheriff's deputies presented a bench warrant that stated Pinkney was being arrested for violating the 15th condition of his probation by writing the following words about a white Berrien judge in an article published in the Peoples Tribune newspaper. "The corruption and the deceitfulness continues in Berrien County Courthouse. Judge Butzbaugh has violated his oath. I support the constitution of the United States and the State of Michigan; we are still waiting on this racist corrupt judge to do the same. Judge Butzbaugh has failed the people, the community, his duties and his office." Dorothy Pinkney tells BC her husband and his lawyer were completely unaware of any condition of the probation prohibiting "inflammatory behavior". Ms. Pinkney also tells BC that her husband feels he has the authorities in Benton Harbor, Michigan exactly where he wants them and the situation is in his favor because there is now undeniable proof of the existence of the injustice he has been protesting. Rev. Pinkney's charge is related to a quote of his in print media which criticized the court system. Free speech is guaranteed by the first amendment!! 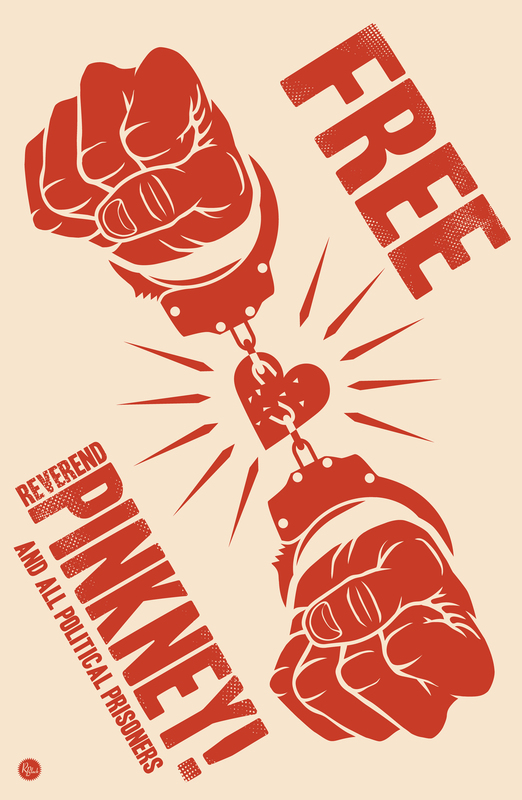 Please see recently published article on Pinkney from the well-respected website BlackCommentator.com. Gov. Granholm has the ability to pardon Pinkney or commute his sentence. All individuals and organizations are urged to immediately write letters or post cards DEMANDING his pardon. He is only one (the most vocal) in a city of people under a severely repressive government. THEY WANT HIM SILENCED. So far, with the complicit media, they have been successful. Let's do what we can to free him since his leadership is crucial. Boycott Whirlpool and it's subsidiaries: Maytag, KitchenAid, Jenn-Air, Amana, Gladiator, GarageWorks, Inglis, Estate, Roper, Magic Chef, Acros, Supermatic. ABROAD - Bauknecht, Brastemp, Consul, Eslabon de Lujo. Buy NON-Whirlpool brands! - Frigidaire, General Electric, LG, Samsung, Viking, Subzero, Dacor, some Kenmore, etc.